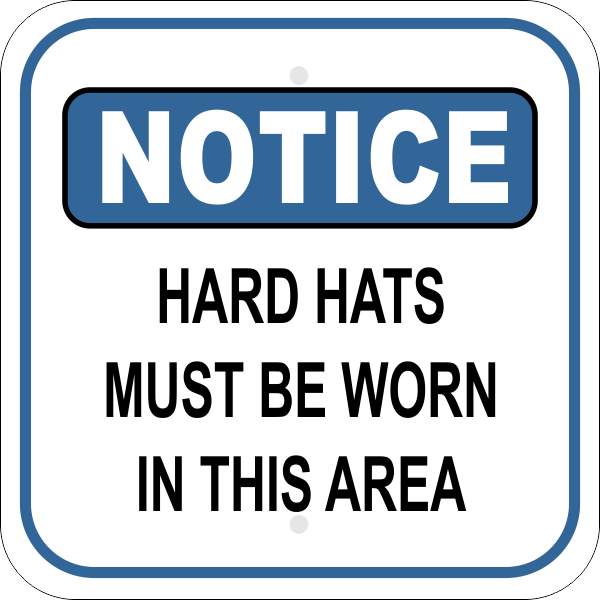 A must for all building and construction sites, this HARD HATS MUST BE WORN IN THIS AREA Notice Sign is a necessity for your business. Keep all those in the area safe and protected by mounting this heavy-duty aluminum sign. Measuring 12” x 12”, this sign is large, bold, and clearly visible. Easily mount with 2 pre-drilled holes and hand out those hard hats. Purchase your Notice Signs here!